Are you still using Excel 2003, or an older version? Want to see what's new and different in Excel 2007? Or perhaps, have you already upgraded to Excel 2007? Are you struggling with the new features, or perhaps want to see what's new that you're missing? If you said YES to any of these questions, then this seminar is for you. This video seminar will teach you about all of the new and changed features in Excel 2007. Click here to watch a video explaining the goals for this seminar, or scroll down for more information. 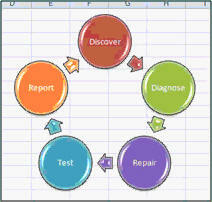 Versions: We will learn with Excel 2007, and will cover all of the new features. If you're used to Excel 2003, XP, 2000, or even Excel 97, you will be just fine in this seminar. This seminar is for the person who wants to learn what's new and improved in Excel 2007. We will begin by covering the new menu interface called The Ribbon. You will learn about the Quick Access Toolbar and how to customize it with your own buttons. Next you'll learn about the upgrades and changes to Excel 2007, for example, Excel can now handle much, much larger spreadsheets (rows and columns) and is faster at calculations. We'll discuss all of the upgrades and enhancements. We'll learn about all of the new features on the Office Button, which is the replacement for the File menu. We'll also talk about all of Excel's new file formats, including XLSX and XLSM. There are a whole ton of new settings on the Options Menu. This is the replacement for Tools > Options. We'll cover all of the important ones. Next we'll start going over the different Ribbon Tabs, starting with the Home Tab, and we'll look at all of the new features. A lot of the changes involve new locations for old Excel 2003 features. I'll point out many of these. One of the features that has received a major improvement is Conditional Formatting. You're no longer limited to just three formats. You can have an almost unlimited number of conditions, plus you can use color bars, icons, and lots more. We'll spend a whole lesson on this. Data in Excel can now be stored in something called a Table, which is very similar to a Table in a Microsoft Access database. We'll learn all about these, in addition to the upgrades to Sort & Filter. No seminar on new Excel features would be complete without a lesson covering Charts & Graphs. There have been a lot of new enhancements here. We'll learn about all of the changes to PivotTables and PivotCharts. There are a lot of excellent new enhancements that Microsoft made in the area of Graphics & Illustrations. Working with Pictures, Clipart, Shapes, and SmartArt has never been easier. There are a ton of new formats and styles available. We'll cover all of the items on the Insert Tab including Text Boxes, Headers & Footers, WordArt, Signature Lines, Inserting Objects, and Symbols. I'll show you how to work with Themes, which are new collections of color schemes, font sets, and effects in Office 2007. I'll show you how these work in conjunction with styles to create professional-looking spreadsheets. We'll cover all of the changes to Page Layout in detail, including Margins, Orientation, Paper Size, Print Area, Breaks, Background, and Print Titles. 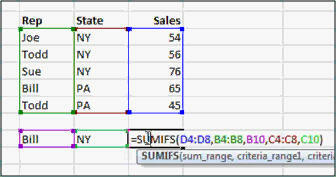 There are several New Functions in Excel 2007, including IFERROR, SUMIFS, AVERAGEIFS, and COUNTIFS. I'll show you how to use all of these. I will show you how to Get External Data into Excel and keep it linked to the source data. We'll import some Microsoft Access data. Then I'll show you how to pull down real-time data from a Web site (like this stock portfolio data) and then refresh it with one click. We'll go over the new features on the Data and Review tabs, including the new Translate button. Finally, we'll go over any other minor features and function that we missed in the previous lessons, like the Name Manager, Zoom Slider, and the new Microsoft Office Online Templates. Plus there are a lot of extra, small tips and tricks that are thrown in throughout this seminar - like keyboard shortcuts and other timesavers. If you use Excel 2007 at all, or you're thinking about upgrading, then this seminar is definitely worth your while. This seminar is pretty long (over 3.5 hours) but it's broken up into 22 easily managed lessons of about 8 to 15 minutes each. You can site down, watch a lesson, review the material, play with it yourself, and experiment. Do a little bit each day. It's long, but it's comprehensive - you won't miss a single step as I've recorded everything from start to finish. Of course, if you have any questions about whether or not this seminar is for you, please contact me. Richard on 1/1/2009: Upgrading to Excel 2007 Seminar - Changes & New Features in Excel - The Ribbon & Quick Access Toolbar - Office Button & Tools - Conditional Formatting - Data Tables, Sort & Filter - Charts, Graphs, PivotTables, PivotCharts - Graphics, Illustration, Pictures, Shapes - Headers & Footers, Inserting Objects - Themes, Color Schemes, Effects, Styles - New Functions like SUMIFS and IFERROR - Get External Data from Access & the Web - And lots more! Richard B. Jordan on 11/11/2009: How difficult is it to load from 2002 to 2007? Does your tutorial include this info? Since you reccomend it I suppose you have included it but would like to read your comments before ordering. Please enlighten me! Thanks. Richard Rost on 11/11/2009: Richard, I didn't have any problems at all installing Office 2007. You can have your 2002 and 2007 together on the same PC if you'd like (just pick a different install folder). To date I haven't found a single one of my spreadsheets that doesn't work in 2007, so I'm very happy with it. Like I said in the video, there really isn't anything EARTH SHAKING that you have to get that's in Excel 2007, except once you get used to it, the Ribbon really does make working in Excel easier (I was resistant at first). Plus, if you like making PRETTY charts and use a lot of images, that has really been enhanced. Richard Jordan on 1/15/2010: Is it possible to put one piece of data in a cell without all the data that came with it.Can I put NYSE Composite Volume in cell T2120 and Nasdaq Composite volume in cell V2120 using data from URL http://online.wsj.com/mdc/public/page/2_3021-tradingdiary.html?mod=topnav_2_3020. Please advise. Richard Jordan on 2/9/2010: How do I import single bits of data? I want to import NYSE volume into one cell and have it up date automatically. The URL I use is http://online.wsj.com/mdc/public/page/2_3021-tradingdiary.html?mod=topnav_2_3000. Please comment. Richard, the easiest way to handle this situation is to just import the entire table of data into a "scratch" sheet, and then copy/paste-link the cell data that you want into another sheet. This way you can pick and choose the bits of information that you want in your REAL sheet. Richard Jordan on 7/19/2010: In a column of the Dow Averages or Daily Volume, how can conditional formatting be used to note a change in direction; i.e., a number higher - say green - or lower - say red, and also a third color to show a new high has been reached. Then how to set these up to operate continuosly? I can do some of this but not all, and am unable to drag settings so once set up no daily input is required. Please help. Unless you've got a separate cell indicating this change, you can't do this with simple conditional formatting. 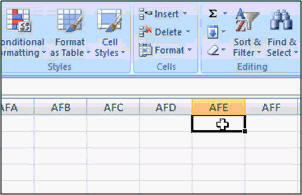 Once a value is updated, Excel has no idea what the old value in the cell is... without some VBA programming. MLB.com or other such sources?? ?